I understand your ‘need’ for an agent or to have a publisher. I, too, had an agent and it felt good saying I had one but saying you have an agent without selling the book is self-defeating. Both the agent and I agreed to break the contract. Another issue is to have a publisher and no sales. A quarterly royalty of $.58 is not going to even buy you a cup of coffee! Yes, that was CENTS, not DOLLARS. Like you, I want that 1940 image of being a writer – the person squirreled away in the fancy attic office, writing and sending out manuscripts which are immediately accepted and royalty checks come in to pay the bills. For maybe 50 people in the U.S., this is a way of life – for us? Nope! Still, if we do not try, we can never attain the dream. Keep the faith, give tradition a try and when it fails, have an alternative course of action. I guess we’re just Traditional-seeking-Indie-authors. Good Luck on the new release and your search for Traditional fulfillment. I get it. I self-published my first book and I’ll self-pub my second, but the thought of trying again for an agent is always in the back of my mind. Good luck – give yourself some time (waiting is the hardest part), especially if you have others out there. And please, keep us posted. Thank you so much. Hey, maybe this book isn’t even any good – who knows, right? Maybe that’s why I didn’t self pub it in the first place. It’s a wacky thriller, written very differently than my other books, but I must try. Appreciate you responding, thank you so much. Getting an agent does seem to be one of those milestones. From all we’re told, it definitely helps to get your novel considered by mainstream publishers, and it makes you feel like an accomplished author. I’m not sure how effective the traditional query is to find an agent. It seems that many writers meet their agents through other writers or at conferences. Have you tried conferences where you can pitch you story to agents? I tried querying for a few years without any luck. I hope your search bears fruit. I haven’t done conferences recently because I did mostly indie and the hundreds of dollars just seemed like a waste at the time, but it is something I possibly should consider. I wish you well on this quest, Elyse! I’ve had 2 agents in the past, and others asking that I consider them for representation once the first in the film trilogy based on my Imago fantasy series heads into production! The first two agents (reputable agents with proven sales that I met during pitch sessions at an international writers conference) left a bad taste in my mouth. The first returned to university and couldn’t be bothered to tell me. The second, even with a stable of award-winning authors with multi-book deals with the Big 5 publishers, simply vanished. She fell off the grid, none of us could reach her! When the film deal came up, because she was not returning calls to negotiate the option agreement, I had to take legal actions to cut my ties with her to use an entertainment attorney to negotiate the film deal. To this day, none of her authors, me included, knows what happened to this agent! Now, as we head into film production with a two-time Oscar-winning producer at the creative helm, even though an agent would be helpful in making my books available to a broader (& foreign) markets, I’ve been left disheartened by my experience with the traditional publishing world. For now, I continue to write (working on my 15th novel), attend literary events that deem me worthy to be part of their panels even though I’m self-published, accept invitations to teach writing workshops for young writers and build relationships with those taking the time to read my novels. I’ve been more fortunate than many authors that the film deal afforded me to quit my day job back in 2011 to write full time. It seems that I’ve gotten myself farther on my own than when I did have a literary agent to represent me. As for being an indie author… had I not gone ahead and self-published, the executive producer would never have seen my interview on MTV. She would never had bought my novels to read and fall in love with the stories & the characters! At one time too, I felt I’d find credibility as a traditionally published authors, but after reading some books by well-known authors published by big-named publishing house; finding typos, characters’ names mixed up, repetitious dialogue, etc. The kind of mistakes that made me wonder if the author worked with a professional editing team, it made me realize I’ve read some excellent indie novels that put these trad. published books to shame. For this reason, I decided to base my credibility as an author by those buying, reading & recommending my stories to their friends/family, those who go out of their way to attend one of my book signings/launches and the libraries that order my books, and then order more, when they can’t keep them on hand for their patrons on a waiting list to read them! I think I might cry. This was beautiful and shows that it was your hard work that got you where you were. I’ve had THREE agents – first was a hack, second was sort of a hack, third was a great agent and couldn’t sell the books. I’m so proud of you Lorna. I know my experiences thus far have gotten me to where I am. Had I not been signed with the small press, I never would have written that book’s sequel, or my adult thriller series. I think my problem is, I don’t know WHAT works – so I keep trying everything. There is nothing wrong with trying, Elyse! It’s a hard business we’ve entered and it can be emotionally draining. For me to survive, it’s better to focus on writing the next story and keeping my readers happy. If your heart is set on traditional publishing, then pursue this dream. All it takes is that one agent to get things going for you. In my case, with my bad heart & liver that’s crapping out, time is something I cannot waste, so for me, I’m content doing what I’m doing and focusing my energies on my family & the next book, than spending my time trying to secure an agent who might only let me down again. Lorna, I wish you health and happiness and great success… I don’t know what my bliss is – possibly that movie deal… actually, I know it is. All I know is that I’m going to continue this path for this book, continue the indie path for the others and keep learning on how to get these books out to the world. Oh, and write. To be honest, I love social media – I just wish I knew WHICH channel to spend most of my time. Have all the best luck in the world Elyse. I’m so new to this game I tried maybe six agents, barely received a reply, let alone a rejection, but then I might have been selling myself wrong, I don’t know and decided I just want to get my books out there so have set my stall on the indie route. I understand the kudos but I’ll wait I think until I’m up to three of four on the market before I think again. But it could be this time. We will all watch and cross fingers for you. Thanks Buddy – who knows if this will work. This novel is very different than my others. Maybe it’s not even really a great book – but who knows? You just have to try. What qualifies a person to be an agent? Can anyone say they are an agent? How does one know what the agents contacts are? How much money does an agent charge? I wish you well on your quest. I know, right? I wish one of my writing friends would BECOME an agent, just so we could have an “in!” I swear there’s a market for this! This scares me. I feel the need for an agent as well. And I have attended writer’s conferences and made a few connections, but nothing significant enough to query. I am heading to another writers conference in April and am exhilarated and terrified. I want an agent. And book sales. I know many indie authors have made good money selling their own books, but for some reason I just want the dream of being approved by someone in the industry. I know it’s shallow, but it’s what I want. Ugh! I fear I will be feeling like you soon. Bless! I don’t think it’s shallow at all (but maybe that’s because I’m doing it too) – what’s wrong with wanting to be hybrid, right? Good luck, Elyse. I have always said commercial publishers have nothing to do with a book’s quality: there is a lot of junk produced by commercial publishers, and the Big 5 are interested in recycling the same old garbage again and again. On the other hand, I would welcome a true partnership with an organization that could sell books. Maybe you could look at it that way – you can get all the validation you want, live the 1940s dream by dint of your own hard work, and work out a deal with a publisher that they handle sales, marketing and distribution and trust your track record for producing quality content. I can hope, right Scott? At least it makes me “feel” like I’m doing something towards my goal, whether it happens or not. Good luck, Elyse. I tried this once, with my first book. I didn’t stick to it for very long. That was back in the age when everything involved paper. The process was too unwieldy for someone living on a cruising sailboat; I didn’t have a printer aboard and mail delivery was rare. I finally self-published that book and I haven’t looked back. The way I look at it, I now have thousands of agents, and each of them has invested a few dollars in my books. They sell them to their friends for me, and they get paid in my appreciation. That’s an amazing way to look at it Charles – thousands of agents investing in your book. That is something to think about. I wish you luck. I think we have all felt this way, but I think everyone measures success a little differently. 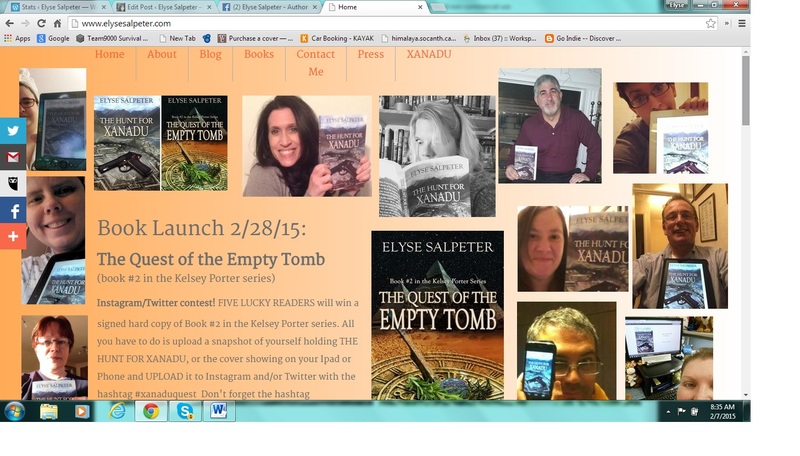 I’m self published and went through the query process in the beginning, but now, I’m happy self publishing my work. Unless someone approaches me with serious Twillight-like money, I’m pretty sure I’ll continue down the self pub path. Good luck. Thank you so much for responding, and I’ll probably end up self pubbing this too. Twilight-like money – one can dream, right? 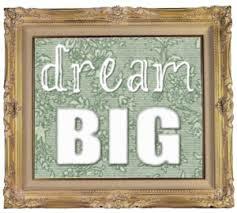 This – to dream big and go after your dreams – is my mantra. I am here to encourage you and cheer you on every step of the way. You will never know until you have tried and tried, and exhausted all resources to make the traditional route work… GO FOR IT. What could it hurt!? Nothing. Keep going Elyse – you’re awesome.